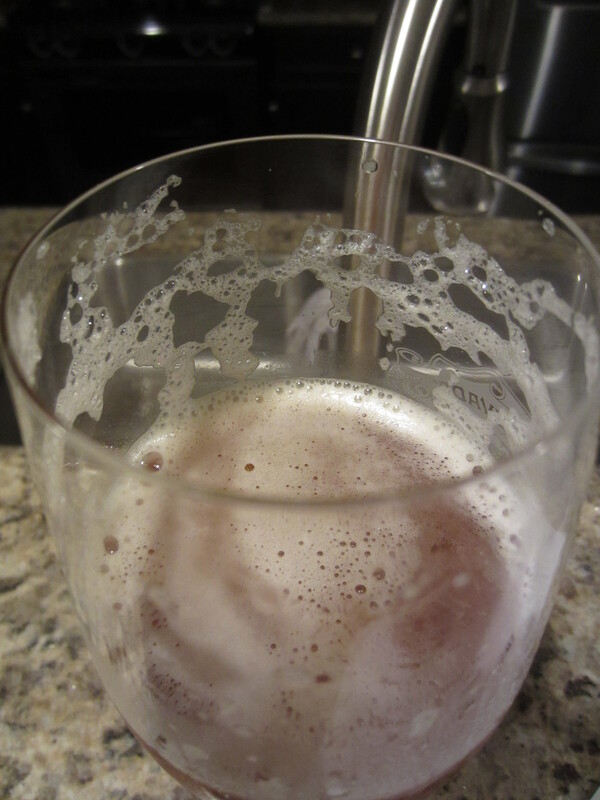 Poured from a 22 oz bomber into a Spiegelau IPA glass. The body is slightly hazy, honey-orange in color. A yellow-hued, off white foamy head is poured, which thins to a light covering and leaves heavy lacing. 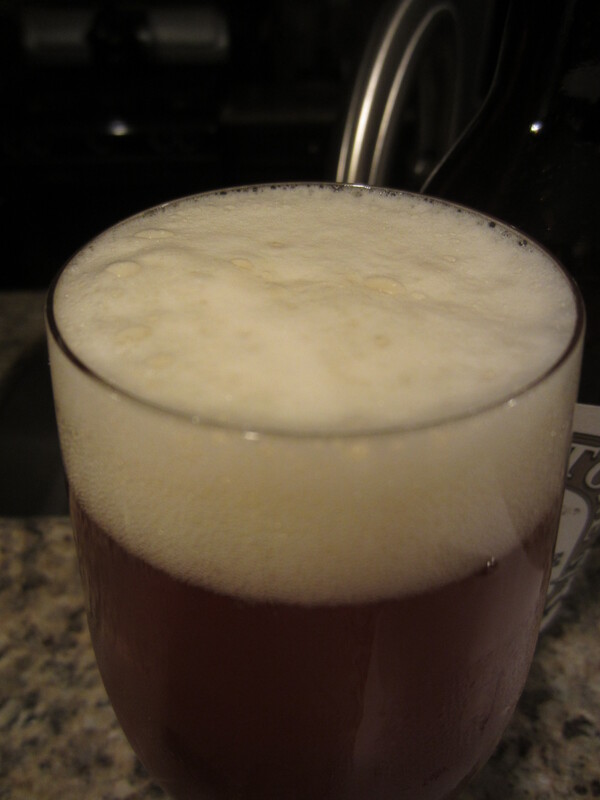 A good amount of carbonation is visible. 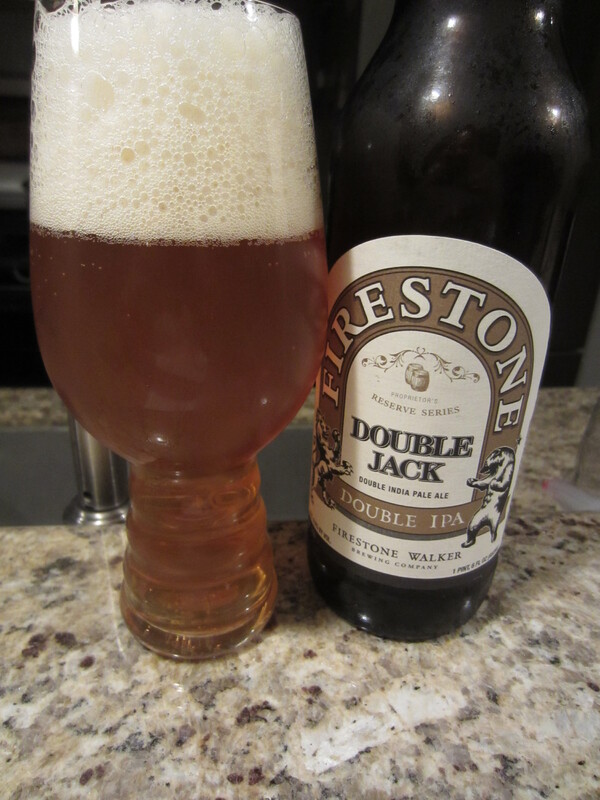 A slight spicy, lemony-citrus hop zest is the main aroma initially. Sweet, syrupy caramel pale malts provide a very solid secondary character, which intensifies as the beer comes to room temperature. 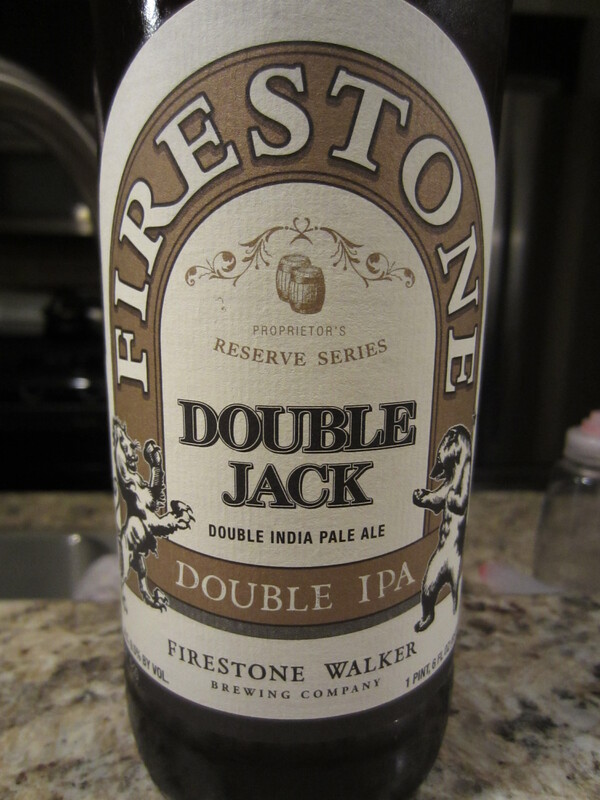 Double Jack has a surprisingly thin mouthfeel, and is relatively soft going down before giving way to strong hop bitterness. The initial flavor in the mouth is the syrupy caramel malts, mixed with some dark fruit esters. These lead to strong grapefruit and lemon hop flavors, which mix with some cracker/bread malt notes that offer a lingering semi-sweet bitterness on the palate. What I can only assume to be English base malts (and plenty of them) provide and interesting base for the DIPA style. 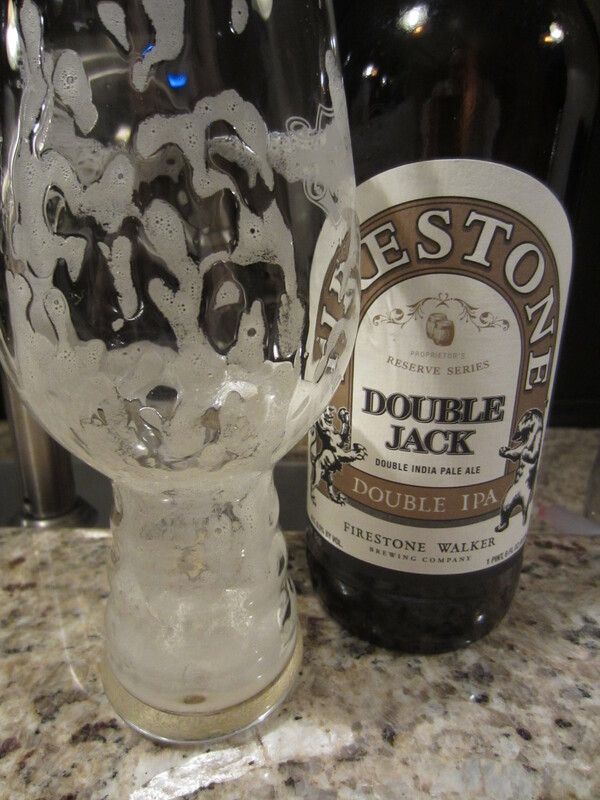 Double Jack isn’t as grapefruit forward as Stone’s DIPA style, as it leans more towards the lemon end of the citrus hop spectrum. The alcohol presence is very well hidden, but by the end of the bottle I was beginning to feel it. It’s not as great as I’d expected, as I’ve heard and read nothing but rave reviews (though every palate experiences beer differently). It’s not bad by any stretch of the imagination, and maybe my lack of being “wowed” is a lack of real love of the style. I would still recommend it to any craft beer drinker, and rate it at 7.5/10.